Monday night is the season finale of Castle. 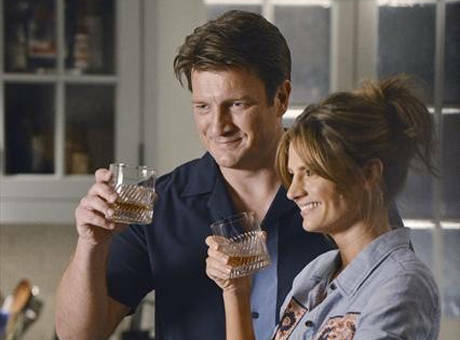 To be prepared for Watershed, we've made a How To Survive The Castle Season Finale-Guide. Be sure to be ready Monday night. You will need at least two types of food. First of all you will need some snacks for under the episode. Which snack you will take, is up to you. BUT don't have any snacks that are too crispy or come in a package which makes too much sound, as you don't want to miss any important word of the finale. For Watershed you will need two types of drinks for sure. Maybe even a third. Let's start with the third. Energy drinks. A lot of people who will be watching, aren't living in an American timezone. In the mainland of Europe the die hard Castle fans will get up at 4am to watch the finale, so they might need some energy to be wide awake. Further you'll need normal drinks for under the episode. 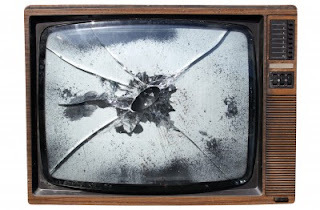 Make sure you've everything ready before the episode starts, because you don't want to go get a drink in an ad break and come back to late and have missed a part of the episode. For after Watershed has ended we need some alcohol for sure. For sure we need it to celebrate a great season and an amazing season finale. But we might be able to celebrate a great end of the episode too. OR we do want to get drunk if the cliffhanger doesn't end on a very positive note. But be careful with the alcohol! Don't drink and drive! And don't drink too much! We will need a lot of tissues. For whatever happens in the finale, we will need them. To cry of laughter, of joy or maybe of sadness. 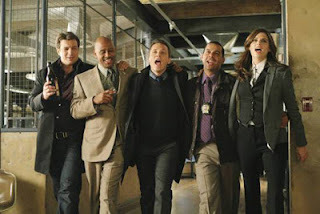 What is more fun than watching Castle alone? Indeed! Watch it with your friends. Invite friends over for a viewing party and enjoy the episode together. But make sure your friends do understand that no one talks or makes any other noise during Castle. If they can't be quiet, don't invite them! Another option is to watch Watershed with your Twitter friends. 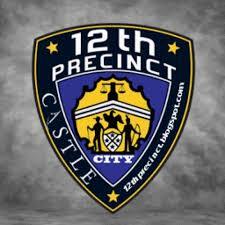 Many, many, many Castle fans can be found online before, after and during the airing of the episode. They can help you through all the hard moments and laugh with you when there are funny scenes. And if the episode, and the season is over, you'll have a lot of friends to talk with and share your thoughts and theories. What is the most terrible that can happen? What do we have nightmares off? Exactly! We lose the TV signal, the TV breaks down or we don't have power anymore just before Watershed would start or under the episode. Make sure you have every back-up system ready! If it is legal in your country, make sure you download the episode already before you will watch it. From 8PM (ET) you should be able to download the episode already. If somehow something fails, you can always watch it on your computer. If you can' download, look up a site that streams Watershed. In case anything happens, this would be a good back-up too. Downloading or streaming the episode would also be handy to watch Watershed over and over again, after it has finished airing on TV. Recording it yourself would be a good option too. If you have any change you might lose power, be sure to have a power generator at the ready. 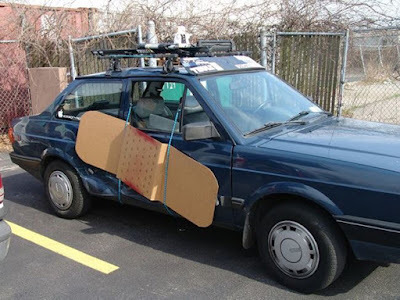 In case things really go bad, you'll need some serious equipment. Be sure to have a first-aid kit at the ready! 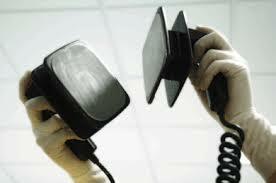 Also a defibrillator and oxygen tanks could be necessary. Some moments of episodes or even whole episodes scream to have a fanfic made about it. 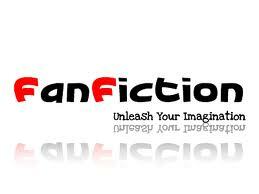 Be sure you'll check fan fiction.net to get satisfied with a lot of good Castle fanfics. Next week Friday, when we had a couple of days to recover, the new Castle podcast MurderBoardSessions will be released. Be sure to check murderboardsessions.blogspot.com.